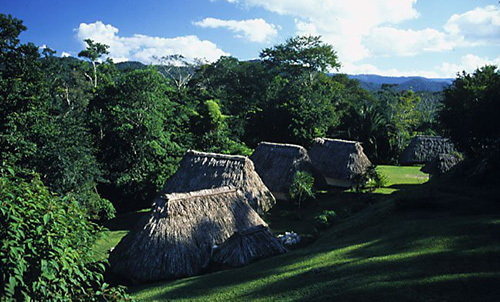 Pook’s Hill Lodge is a small, family run eco-lodge located outside of Belmopan in Western Belize. It’s a secret spot amongst birders for its excellent location and calm and peaceful ambience. Despite its remote location, Pook’s Hill is less than 2 hours from Belize City and the coast, making it a perfect outpost to visit the treasures of the rainforest and the jungle. Whether you’re an adventurer, researcher, birder, a family group, or are looking to explore some of Belize’s top inland gems, you will find Pook’s Hill an ideal base to explore. The lodge has an incredible locational advantage in being walking distance from the spectacular ATM caves (Actun Tunichil Mucnal), the most adventurous caving expedition in Belize. You can set out at dawn and visit the caves in the early morning, having the entire cave network to yourselves, long before before any other groups arrive. 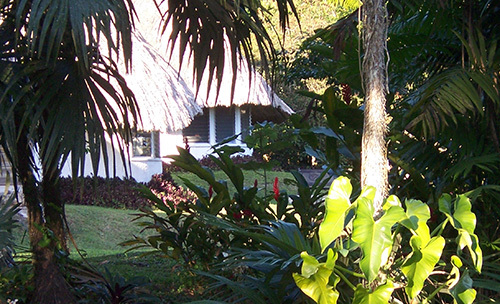 Complimentary onsite activities include early morning birding – let one of their naturalist guides help you spot toucans, trogons, orioles, woodpeckers, and hawks (just to name a few) all right around the lodge. Guided jungle trekking takes you through old growth primary rainforest with mind-bending vines where you can learn about jungle ecology and local fauna. You can also take a 15 minute walk to the Roaring River and go inner tubing! And for the more adventurous, the jungle is a different world once the sun goes down. Head out with your flashlight to experience a bit of the “night life” on an exhilarating night hiking expedition. 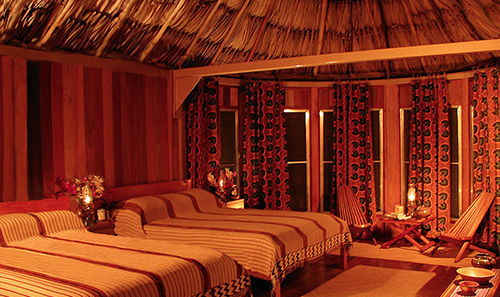 All cabanas are built with a traditional Maya thatch roofing technique and are designed with the jungle location in mind. Each private cabana is fully screened and equipped with a private bathroom, hot water shower, ceiling fan, and 24 hour electricity. 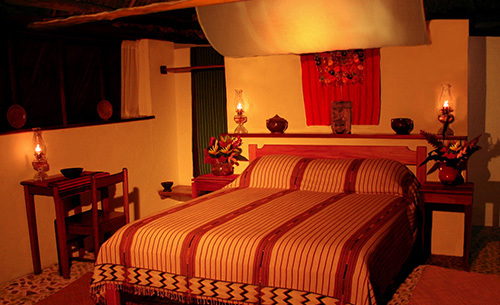 The decor is ethnic Mayan with crisp cotton linens, hibiscus flower arrangements and local craftwork. Forest and plaza view cabanas in the main lodge clearing provide excellent vistas of the surrounding forest and the Maya Plaza and are available as single, double, or triple rooms. 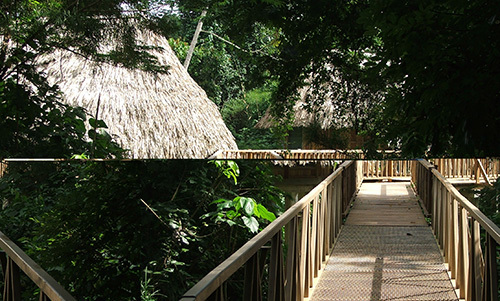 Two ‘Bird Walk’ cabanas are set across the creek from the main lodge on platforms above the forest floor, which are accessed by a raised walkway through the trees. These are the most spacious cabanas and are perfectly situated to watch and listen to the movements of the jungle and rainforest inhabitants. Pook’s Hill is in a remote location, so plan on enjoying every meal on site at the lodge. Meals are served in a lantern-lit dining room overlooking the forest canopy. 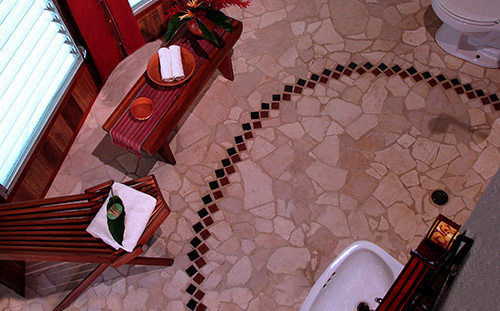 Traditional Maya, contemporary Belizean and European dishes are served buffet style. Enjoy a co0l drink in the open air bar overlooking the rainforest as you catch up on the days adventures, before enjoying the days culinary creations. The following room only rates are subject to 9% hotel tax and 10% service charge. Contact us for details on all inclusive packages available.